The village of Verduno, in the very North of the Piedmont wine region Barolo, is a village that is worthy of being on your ‘must see’ list as a destination on its own. While your eyes take in the sublime views from vantage points around the village, your nose will lead you to Casa Ciabotto, a superb osteria filled with locals eating and catching up with friends and family. Ensconced within the boundaries of this village is a family run winery, Fratelli Alessandria (translated Brothers Alessandria), that I found was one of the highlights of my recent visit to the region. As an Australian I am very used to, and comfortable in, low key cellar doors. I find them open hearted, honest and hospitable. Therefore, I felt immediately welcomed at the door of Fratelli Alessandria opened by one of the current custodians of this winery, Vittore Alessandria (pictured below). And as he led me down to the barrel room in the basement of this gorgeous stone house, it was clear that tradition was alive and well here. While the winery was founded early in the 1800’s, the Alessandria family has been bottling Barolo at Fratelli Alessandria since 1870. Vittore is the fifth generation and is working with his father Gian Battista and his brother Alessandro. (insert bit about what he has achieved here). Of course, enter the sixth generation and the label may need to be changed if Vittore’s young daughters have anything to say about it. ‘Sorelle Alessandria’ does have a nice ring to it. With the focus of the family being on producing excellent Barolo, it is not suprising that Nebbiolo dominates the vineyards. However there are some Dolcetto and Barbera planted, along with the more unusual red wine grape Pelaverga. Pelaverga piccolo is a light, fruity red grape that is rare even within the village boundary of Verduno, there are too few producers. It is this commune where it has been able to claim DOC status, including some vineyards in neighbouring communes, under the designation of Verduno Pelaverga DOC for the past 20 or so years. It was treat to get to taste Fratelli Alessandria 2014 Verduno Pelaverga ‘Speziale’ who put as much care into this local specialty as they do their Barolos. It was a different story a few years ago. Until 2013, they had chardonnay planted and were making just a few thousand bottles per year. It was more of a deviation rather than a complete change in direction. The family made the decision to refocus their efforts where their expertise lay, with indigenous grapes. Since the 1970’s, Vittore’s father concentrated on making changes in the vineyards, adopting practices in Fratelli Alessandria’s estates that were being replicated at the time through out all of Barolo. The introduction of techniques to lower the yields and increase the ripening potential of the grapes were just the start. After returning home from studying commerce and oenology at university, Vittore started to make his mark on the family business by turning his attention to the winemaking processes in the winery. Introduction of temperature control and some smaller French tonneaux to compliment the more traditional botte, combined with better cleanliness and accuracy and more detailed analysis are just some of the changes that have been made since Vittore’s arrival. Changes that continued the improvements made by his father and brother. As with any small business, respect is paramount. Respect for the traditions, respect for the grapes and perhaps most importantly for this business – respect for family. When discussing the 2011 vintage for Fratelli Alessandria, Vittore is excited. ‘2011 is a great vintage … warm but not too warm. Classic like ’06 and ’08.” This is an opinion that I heard repeated around the region and the trade. The vintage produced wines that can be said to be more approachable, often more perfumed, in their youth. This is also displayed in the three single vineyard wines; the San Lorenzo di Verduno, Monvigliero (also Verduno) and the Gramolere Monforte d’Alba. The San Lorenzo is like breathing in a bouquet of flowers before your mind registers the fruit and spice. 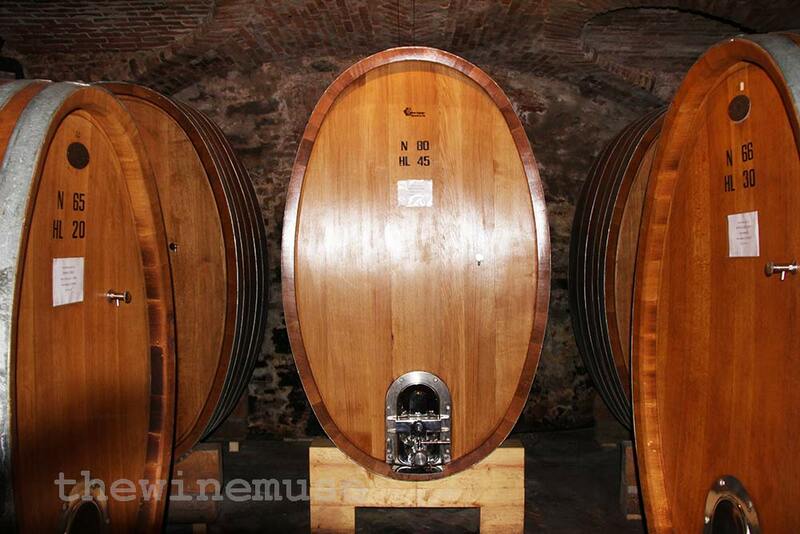 While the Monvigliero is still displaying overlying rose perfume, it is tighter with darker riper fruit and spice. The 2011 Gramolere is a wine that has a darker, more muscular, personality and is still tight, making it a wine that I would be more interested in seeing in about 5 years just to see how it is progressing. Despite being a higher altitude vineyard than the Verdunos at around 400 m, the Gramolere vineyard, in the commune of Monforte d’Alba, has a warm microclimate on sandier soils and the steep slope captures more of the western sun. The passion for wine displayed by Vittore is contagious. 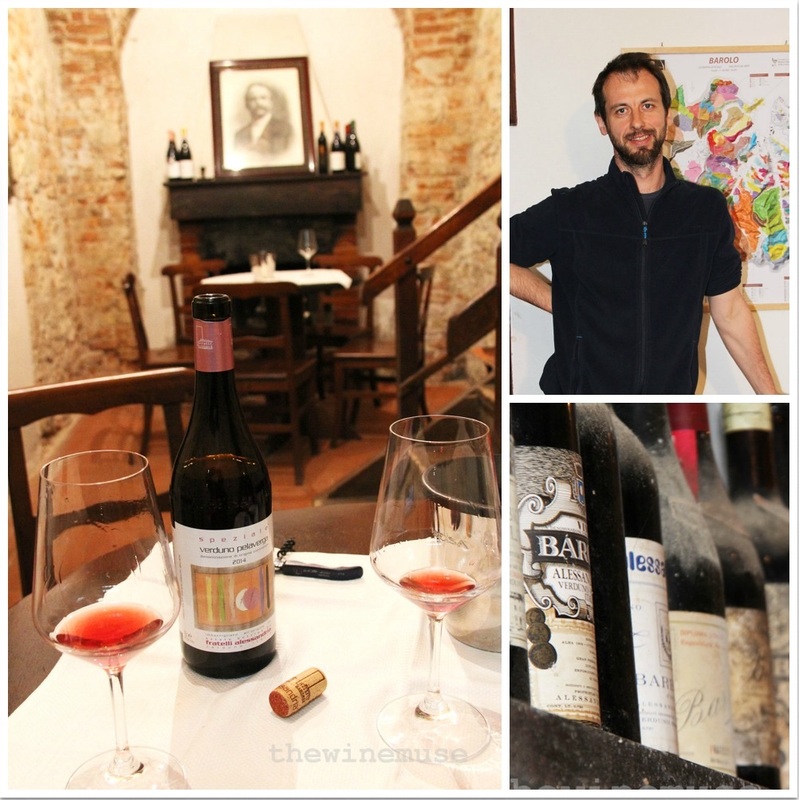 Passion for Nebbiolo certainly, but also in keeping the traditional Verduno grape Pelaverga piccolo alive. It is the key to this family’s success. And with this great passion is the respectful blending of the modern and the traditional and I have the feeling that we will be seeing plenty of great wine from Fratelli Alessandria in the future. To see reviews of these wines, click here. If you are in Australia and want to find any of these wines, please contact World Wine Estates. If you want to locate your local distributor or organise a cellar door visit, please contact Fratelli Alessandria directly. I have just returned from Piedmont for the second time this year. Your review makes me want to go right back and keep exploring. Love visiting family run cantinas and feeling part of their family for a few hours. Feel free to link this or other posts up on my monthly #WINENOT Wine Blog Link Sharing Party, it’s open for a week from the first Wednesday of every month.